1. Owls can not rotate their eyes up and down or right to left - they can only look straight ahead with binocular vision of only a 70 degree radius. 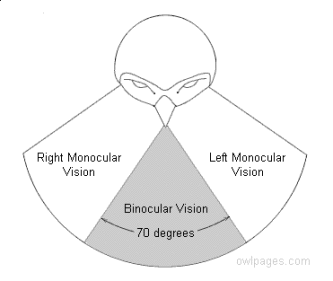 Humans have double the range of binocular vision, but an owl can see far better than we can (although not directly in front of them, as owls are quite farsighted). 2. 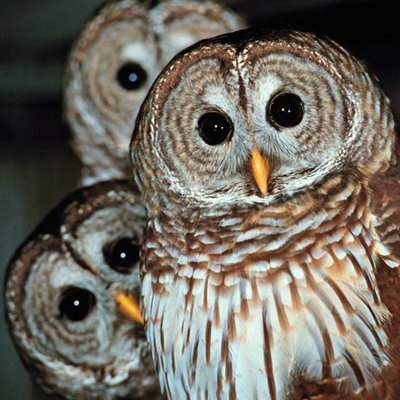 The owls' narrow range of vision is compensated for by their ability to rotate their heads 270 degrees, including the ability to turn their heads completely upside down. 3. Most birds have two eyelids; an outer one for sleeping, and an inner eyelid for cleaning the eye. But the owl has three eyelids - an upper eyelid just for blinking, a lower eyelid for sleeping, and an inner eyelid for cleaning the eye. 4. Owls have extremely sensitive hearing, but their ears cannot be seen, as they are located behind the owl's eyes. Their hearing is so good that they can even hear their prey moving underground. 5. 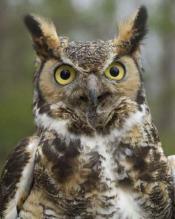 What are known as 'ear tufts' are not 'covers' for the ears; they are responsive to the owl's mood. For example, ear tufts tend to fluff up when the owl is being aggressive. 7. Owls will swallow small prey whole,but their digestive systems are so efficient that they only digest what is nutritious. The rest of the animal, such as the bones and fur, are regurgitated in 'pellets.' 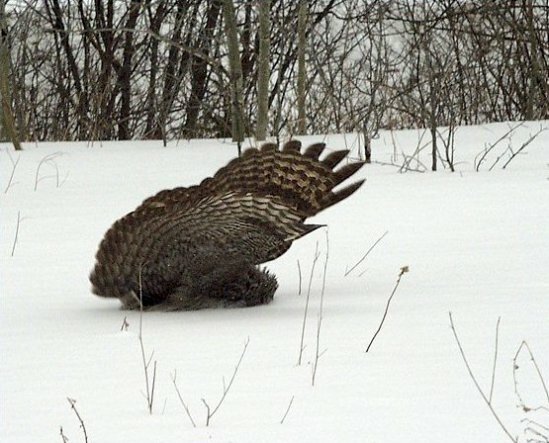 The pellets leave clues for scientists as to owl nest locations and diet. 8. Unlike most avian species, it's the female owl that's generally larger and more colorfully plumed than the male. Females are typically more aggressive than males. 9. Do you think that a British government body got its name from a group of owls, known as a parliament? 10.Some species of owls have hairy legs and feet. This is to protect them from getting rat and snake bites! Owls are awesome birds and the chicks are very cute, but owls are hunters and do not make good pets; just ask the bird sanctuaries in Britain how many owls they've had to rescue since the Harry Potter movies made every kid in the country want an owl! You can admire them without owning them. That's the hoot for today! Originally published May 2012 and updated March 2016.